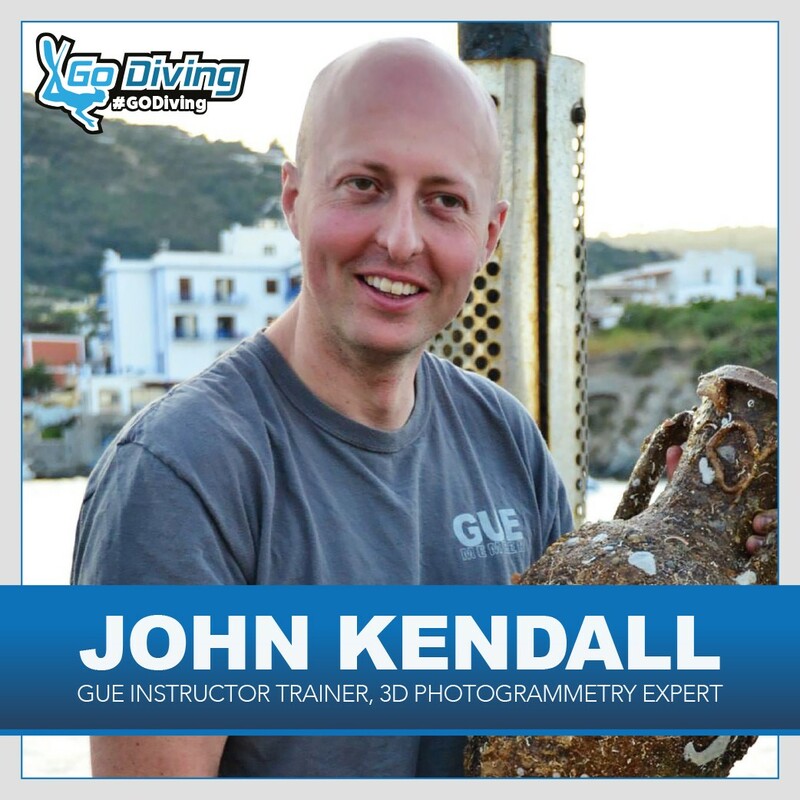 John Kendall is a GUE technical, cave and CCR instructor and a fellow of The Explorers Club. Since he was a small child, John has been fascinated by the underwater environment and the possibilities of adventure, and he is grateful to GUE for helping him to turn those childhood dreams into reality. As an instructor, John regularly travels around the world teaching GUE classes and helping to build local GUE communities. He is also the project manager for Project Baseline Malta. For the last four years, John has been working with underwater 3D Photogrammetry as a technique for nautical archaeology. This cutting-edge technique allows for digital 3D models to be created of shipwrecks, and allow researchers and scientists unparalleled abilities to manipulate and navigate the sites from the comfort of their own computers. From the frigid waters of the Baltic to the toasty Mediterranean Sea, John and GUE have been accumulating data and generating some cool-looking imagery of deep-water wrecks. When not diving (which is rare), John is also a commercially qualified UAV pilot.